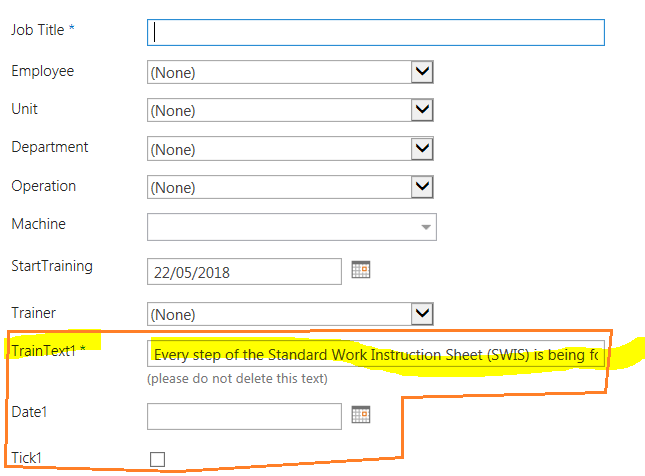 I'm using SP 2013 and have a list, within the list is a field called TrainText1 - it provides a step of the training which is being signed off, so the users know what they are signing off against. There are also 'associated' fields, which are Date1 and Tick1, which capture the date the training was completed and a tick to confirm as done. I don't want the field TrainText1 to be edited, it needs to be visible in the form, but set as read only. It's purpose is to describe the training that is being signed off. I realise editing the html, making a custom form is possible, but I need to avoid doing this for the moment, since requirements (field typed, layout...) are changing quite frequently at this stage. Later on I will create a proper custom form. In the meantime I need to get a working form and capture some data. If you want the text to be visible in the new and editform use the JSLink property and render the field as display form. Get input field id from html-code. Another perspective would be to remove it from your New and Edit forms. It will still be visible in your display form, but never in your edit/new forms. Not the answer you're looking for? 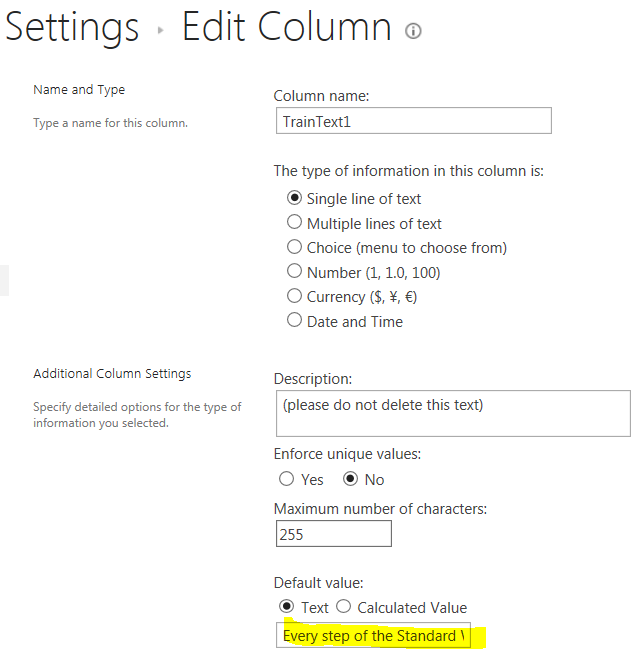 Browse other questions tagged 2013 form default-value read-only or ask your own question.